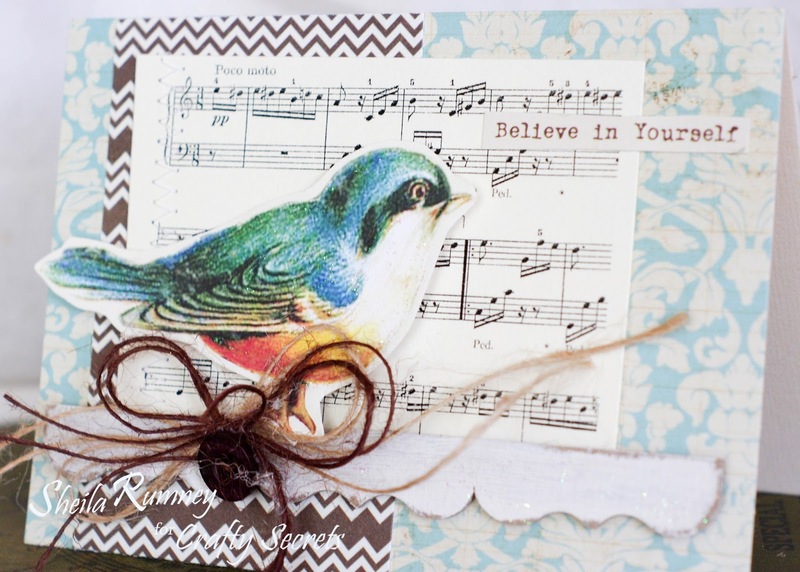 Here are just a few sweet uplifting cards that I created recently. 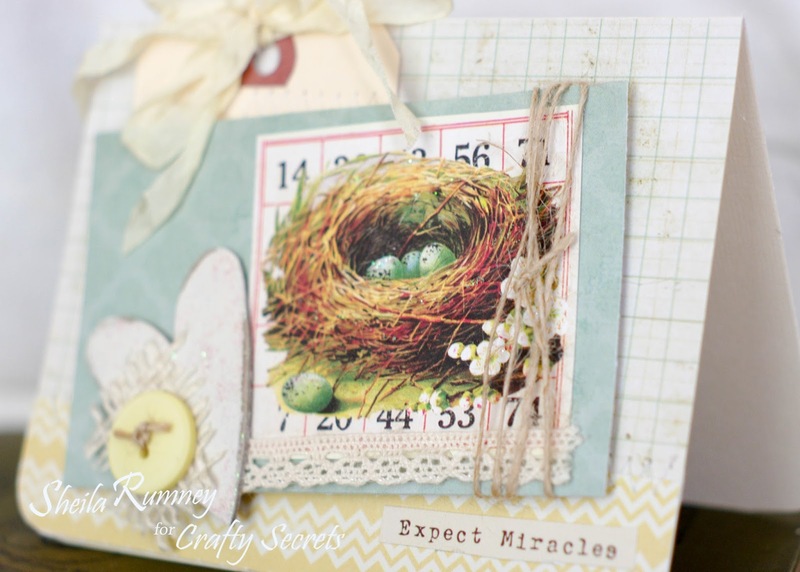 It is so easy to combine the Crafty Secrets Creative Scrap images with papers, embellishments and buttons, to create some cute cards to give. It is so easy just to cut the images and sayings apart... mixing and matching them to create the perfect card to send. And of course you can't forget to add a little sparkle to make them really shine. 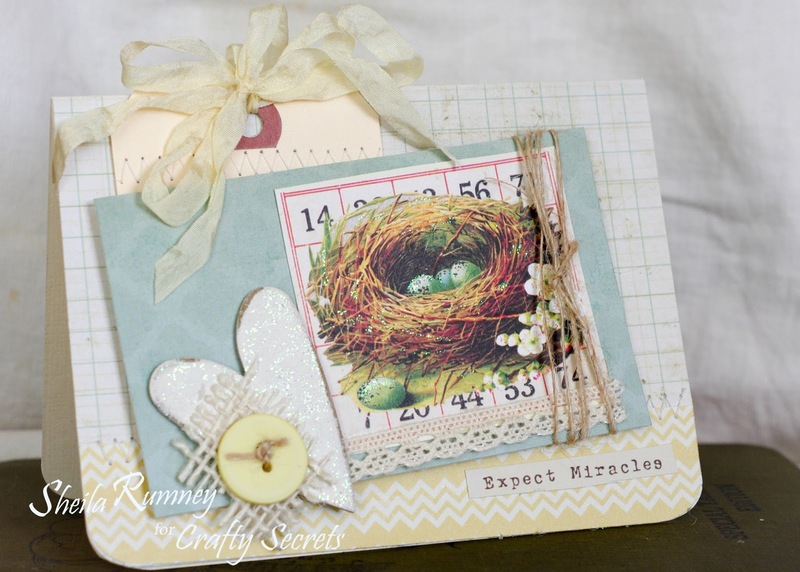 I love to create cards in advance to have on hand when needed. 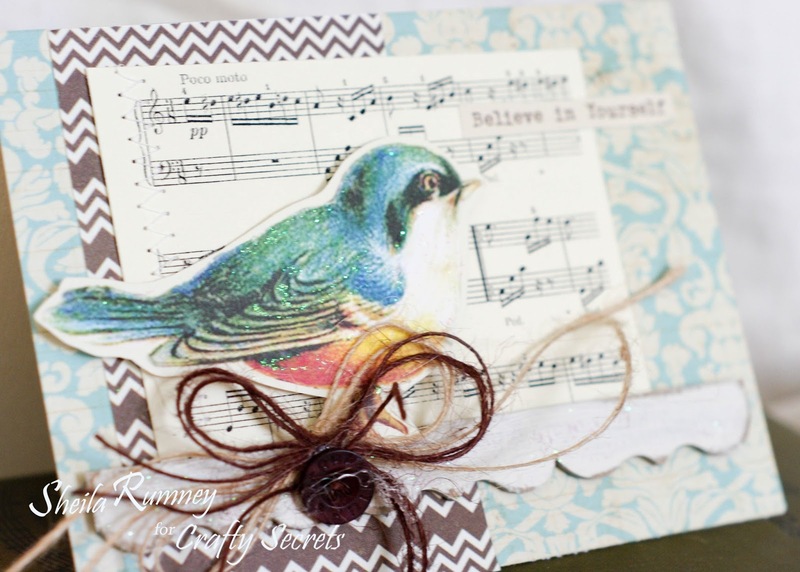 It is a perfect way to send the quick note to that special person in your life. Sheila, I have been meaning to get over here and tell you how much I love these cards. They are so sweet and delicate. I love the touches of glitter and the little embellies you've tucked in. They are perfection. You have an amazing gift for design. Love your work so much!